The Love Shack is a charming 2 bedroom 1 bath cedar shake cottage built in 1905 located in the heart of the historic summer resort community, Pointe Aux Pins on Bois Blanc Island. True to its original features, The Love Shack has natural cedar beaded board walls and ceilings and hard wood floors. 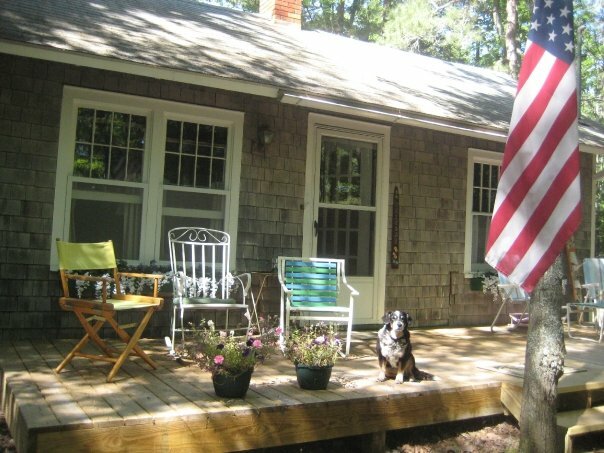 The cottage sleeps 4, has a living room with an all natural stone wood burning fireplace, seperate dining room, front and side pine decks and the kitchen includes an oven with gas stove top and a new refrigerator. The Love Shack sits one row from the water but you can still view the Straits from the cottage or easily access the beach on a private footpath. It is also conviently located three cottages from the community center and Pines church, one block from the Pines School House and playground, firehall, post office and community dock, and less then a mile to Hawk's Landing General Store and ferryboat dock.